Update: Well that was…interesting. 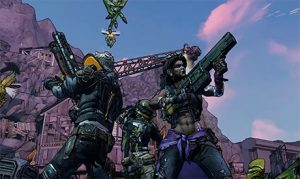 We did get to hear about Borderlands 3, a new Borderlands board game and a few titles being published by Gearbox; Risk of Rain 2 looks awesome. We’ll be sure to talk about what was shown in more detail soon! Since we knew you’d want to witness the reveal alongside your friends at UFG, we decided to embed Gearbox’s official Twitch channel below. The event starts at 11am PT/2pm ET. I’ll be watching and sharing my thoughts on Twitter. Feel free to share yours as well.